The fearless Gambian human rights activist won New African Woman magazine's Woman of the Year Award at the their Award ceremony that took place in Dakar last night. 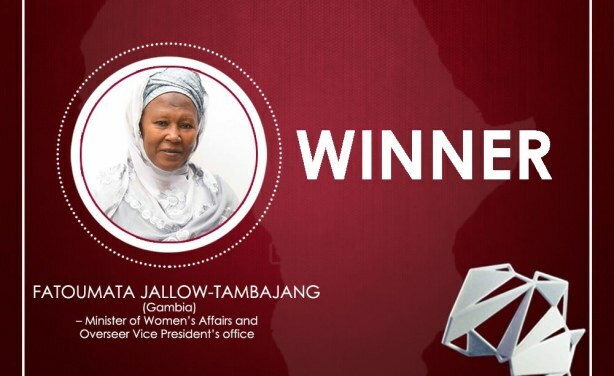 Mme Fatoumatta Jallow-Tambajang, Vice-Présidente de la Gambie désignée Femme Africaine de l’Année par New African Woman Forum. Africa: New African Woman Awards Nominees Announced - Who Is Changing The Game?